The saturated temperature on that LTRL line is about 0F and the LTRS line is about -40F. Obviously there are some holes in the vapor barrier, but it doesn’t look like either section is full of condensation yet. Chances are that you can seal the vapor barrier and save the insulation. The picture was taken with a Fluke Ti25. 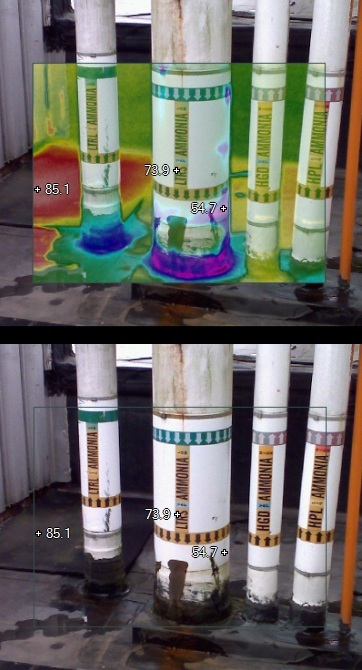 This entry was posted in General Information, Mechanical Integrity, Thermography and tagged Mechanical Integrity, Thermography. Bookmark the permalink.